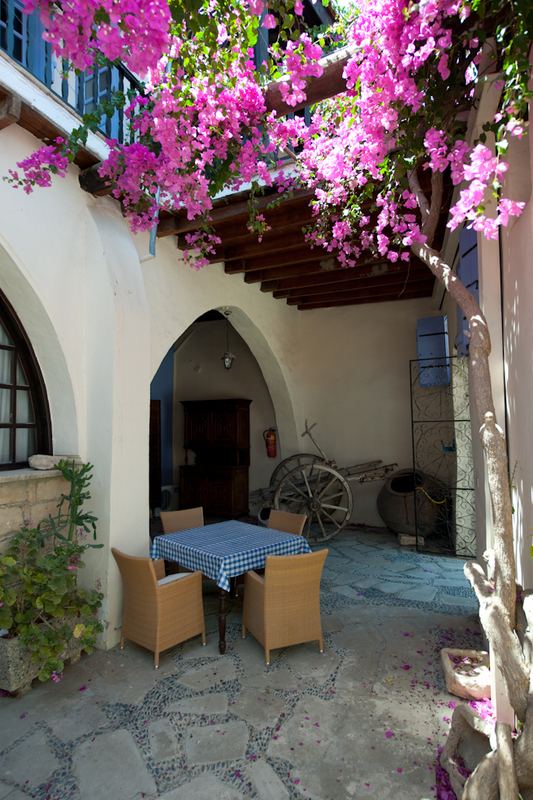 This traditional house in Kalvassos consists of 10 self catering fully furnished traditional Cypriot apartments, 6 one bedroom apartments, 3 two bedroom apartments and one studio. 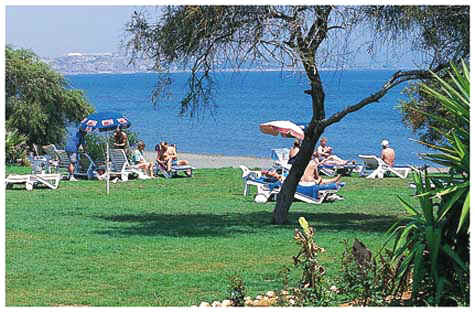 There is a shared swimming pool within easy walking distance where you can relax in the sun. 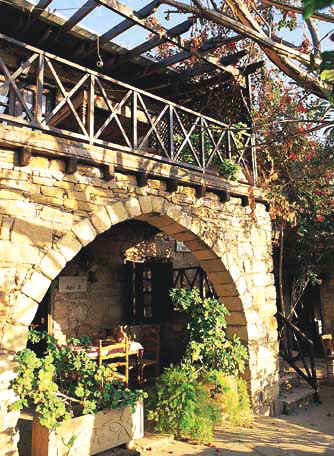 The attractive village square of Kalavasos with its coffee shops and taverns, invites you to meet the residents and sample the authentic Cypriot hospitality. Also available nearby are the more demanding activities such as swimming at governors beach, horse riding, fishing, cycling and walking the nature trials. If you like you can take traditional cookery lessons and even watch halloumi (Cyprus cheese) being made, pick olives and citrus fruit, or learn about our local tradition. SLEEPS:2/5 Each apartment is individual with its own balcony or patio for sitting out in the sun or for dining in the evening. 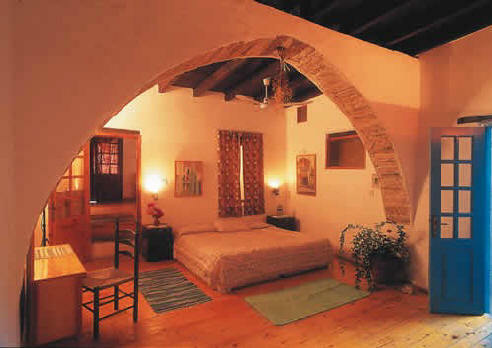 ARCH Holiday villa: comprises of four individual restored apartments with traditional Cypriot feel. Each apartment has a kitchenette, separate bedroom, living room, shower/wc, satellite TV, and air conditioning in the bedroom. Relax in the sun on your own balcony or patio, or lie on a sun bed next to the nearby pool. The Kalavasos village square complete with coffee shops, taverns, supermarket and bank is within easy reach. TAK Holiday villa: 300 year old stone house, complete with court yards filled with beautiful vines and flowers. Careful attention has been taken when restoring the houses to preserve their external and internal architecture. 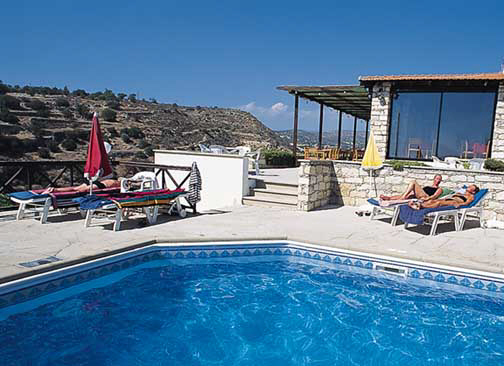 It consists of several self catering fully furnished Cypriot apartments. Each apartment has its own balcony, patio or courtyard for sitting out in the sun and enjoying an evening meal. TEN Holiday villa: consists of four one bedroom traditional apartments with a fully equipped kitchenette, central heating, air-condition, shower/wc. Furnished with comfort in mind, Tenta house has been decorated with charming Cypriot items and has balcony or patio where you can relax in the sun and enjoy the view. The shared pool can be reached by foot 3-4 minutes by foot. Kalavasos village is situated half way between Larnaca and Limassol towns along the south coast and is centrally situated allowing easy access to the whole of the Island where major towns such as Larnaca-Lemesos - Lefkosia - Troodos and Paphos can be reached from 20 minutes to 1 hour. The location is ideal for people who want to get away from city life and relax in a village surrounding. DISTANCES Too far to the Beach. Drive instead. 100m to Bars and Restaurants and Shops. Children up to 12 years of age are not charged on extra bed for self-catering accommodation. *Extra Persons and Children under 12 years old sleep on Bed-Sofa or Child´s Bed.